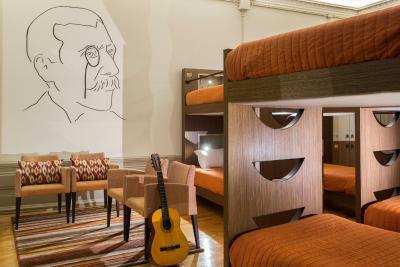 Lock in a great price for Serenata Hostel Coimbra – rated 8.6 by recent guests! Location, treatment, comfort, value were all outstanding. 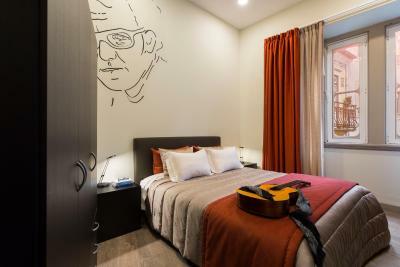 Our room, called "musica" had a beautiful melody written on the wall which I think was probably fado. Perfect location, good breakfast and the staff was helpful. Good for a few days. Great location, just steps away from the major sights like Se Velha, Univerdade de Coimbra, Jardim Botanico. 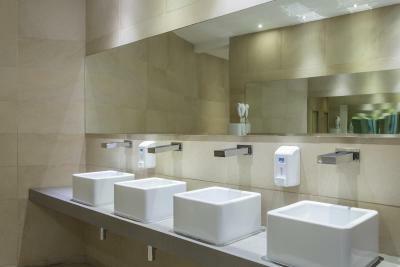 The building has spacious and beautiful interiors, minimalist decorations. Hugo at the reception desk was very kind and helpful. We were allowed to check in much earlier than 3pm. The location was fantastic and the whole building. Room was ok, clean bathroom, clean sheets and towels, bed very comfy. 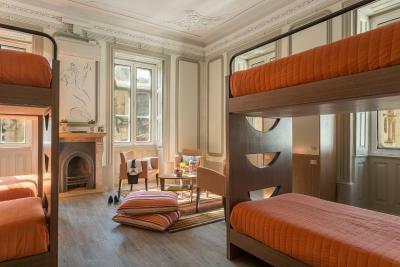 The hostel was very well located within walking distance of all points of interest and the train station. 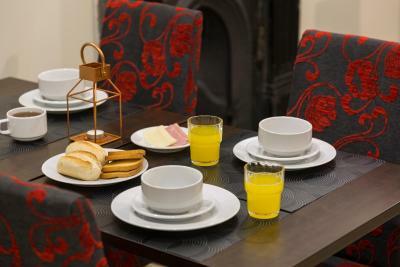 The staff was very friendly, the beds comfortable, the facilities were clean and the breakfast was good. We stayed in the family room with a private bathroom. It was pretty, clean and comfortable. 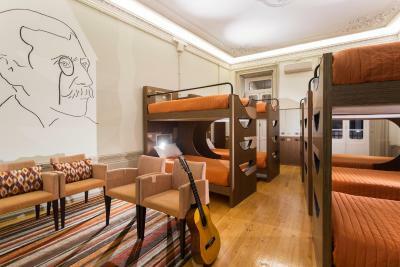 Definitely a lot nicer than I would have expected from a hostel. 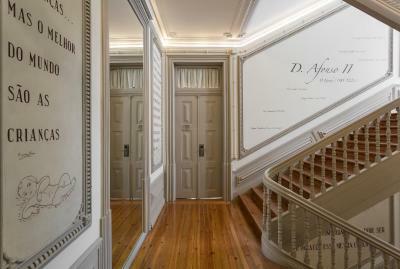 The building is historic but renovated and well maintained. 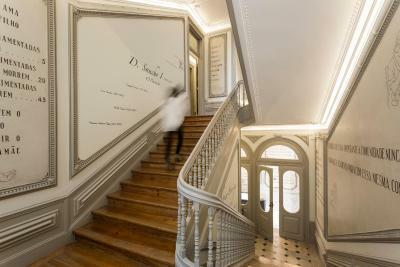 A grand, beautiful staircase winds its way up to the top floor. Friendly, English-speaking staff offered great recommendations from where to park the car to where to get food on a Sunday night! Basic breakfast was included. Great location - steps away from the university. 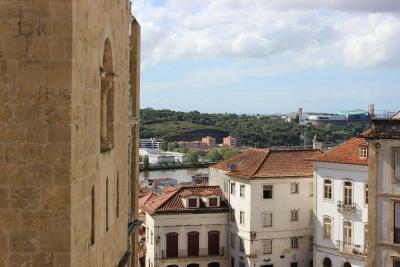 BTW, driving in old Coimbra is not for the faint of heart! Steep, winding, and very narrow, cobblestone streets were not made for cars. Beautiful building (a true gem) in a charismatic old town. Impressed by property and the surroundings. Hostel bar with tap beers at 1€. Very well run, right in the heart of a beautiful city. 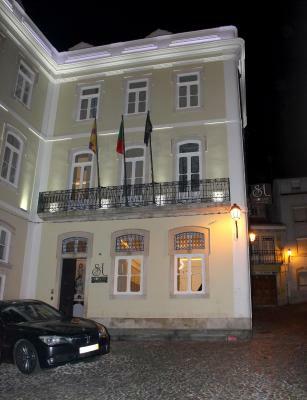 The decoration on each floor is really cool and shows serious Portuguese pride. One of our best sellers in Coimbra! 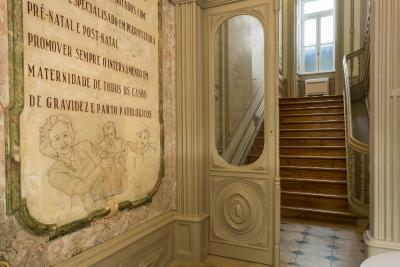 Coimbra’s Serenata Hostel features unique hand-painted wall murals, a grand wooden-carved staircase and original marble decorations. 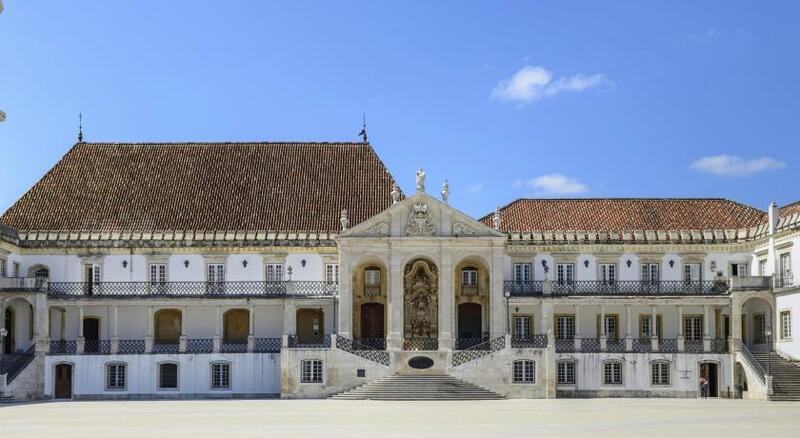 Rooms or dormitories are individually decorated and some overlook the Old Cathedral (Sé Velha). 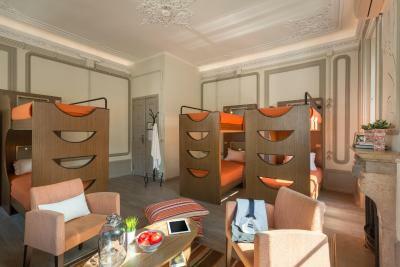 The themed accommodations includes a seating area with modern furniture and air conditioning. 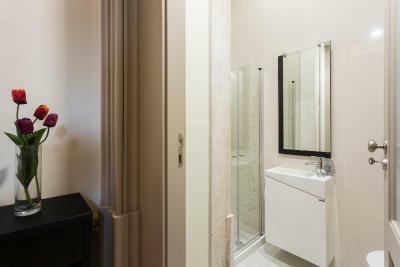 Some have a flat-screen TV and a private bathroom. 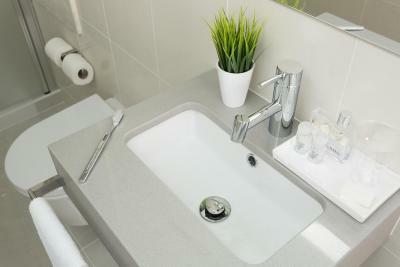 Dorms include reading lights, lockers, bed linen and access to shared bathroom facilities. 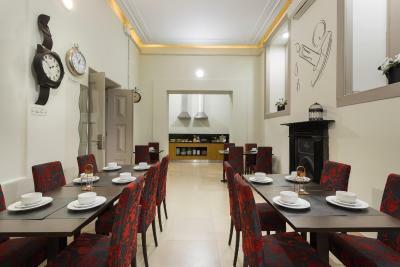 A daily buffet breakfast is served in the dining room and there is a fully equipped kitchen for self-catering. Many bars and restaurants are located within a 2-minute walk from Serenata. 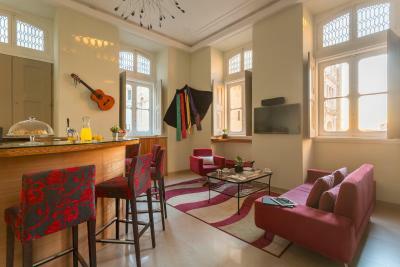 Guests have the use of 2 common lounges that include a library, flat-screen TV or games. 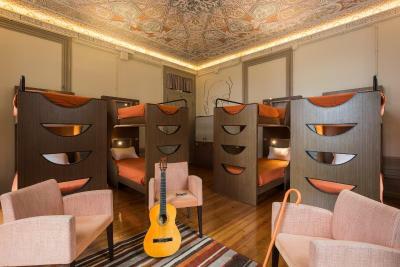 There is a chic bar and free Wi-Fi internet is available throughout the hostel. 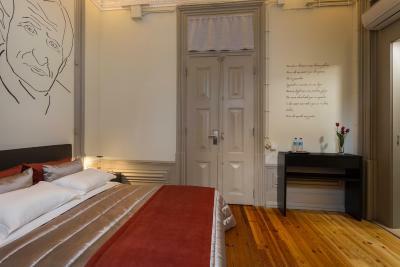 The building where the hostel is sited, dates back to the early 20th century and was fully renovated. 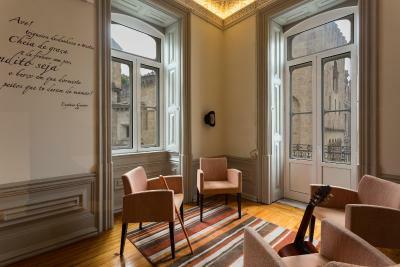 The historical unit was once the Bissaya Barreto maternity and after that, it was turned into the Coimbra Music Conservatory. 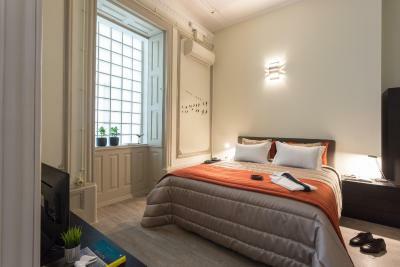 Located in the heart of Coimbra, at UNESCO World Heritage Largo da Sé Velha, Serenata Hostel is a 5-minute walk from the train station and 10-minute walk from the bus station. 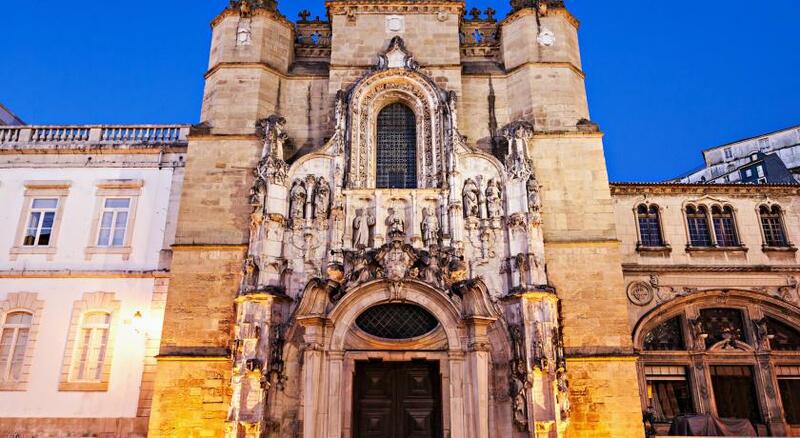 The University of Coimbra and city’s biggest historical attraction, Sé Velha Old Cathedral, are a 1-minute walk. 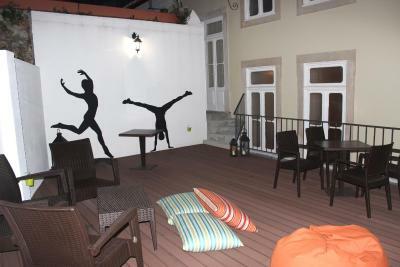 When would you like to stay at Serenata Hostel Coimbra? 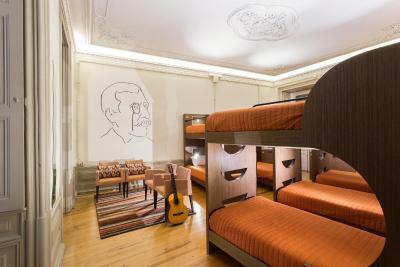 This spacious, air-conditioned dormitory features mural paintings, individual lockers with key and wooden floors. There are shared bathroom facilities. 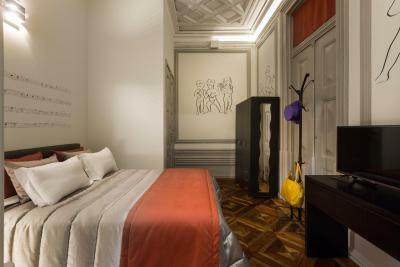 This spacious, air-conditioned dormitory features view of the old Cathedral and an ornate ceiling. 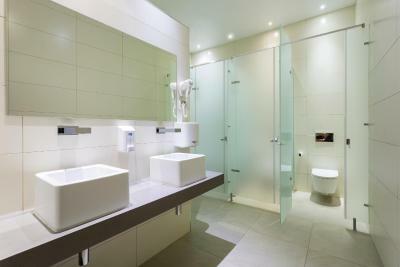 There is a seating area and shared bathroom facilities. 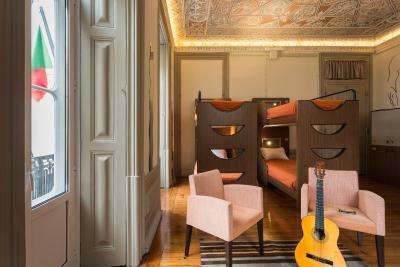 This spacious, air-conditioned dormitory features a view of the old Cathedral and an ornate ceiling. 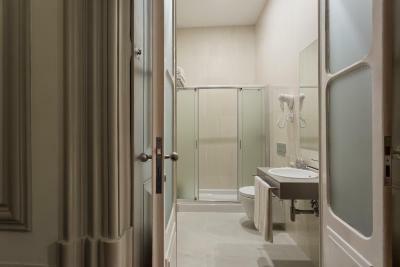 There is a seating area and shared bathroom facilities. 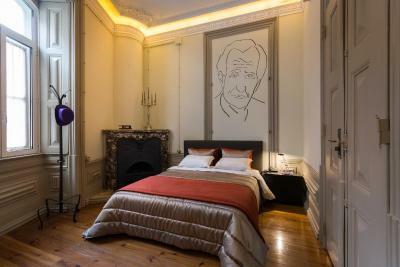 This air-conditioned room features hand-painted murals, a small seating area with cable TV and a shared bathroom. 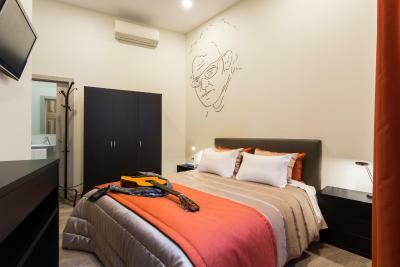 This air-conditioned room has hand-painted murals and includes bunk beds, a flat-screen TV and private bathroom with a shower. 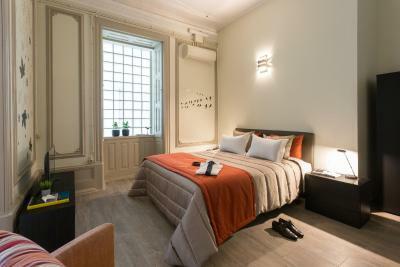 These air-conditioned rooms have balconies overlooking the old cathedral. 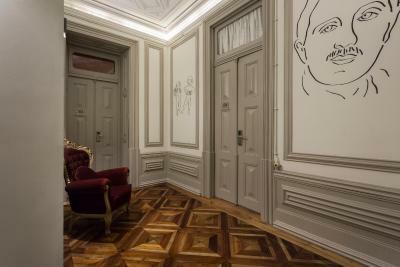 They feature hand-painted murals and are decorated with colorful wallpaper. 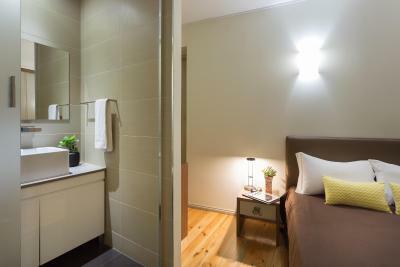 There is a small seating area with a flat-screen TV and a shared bathroom. 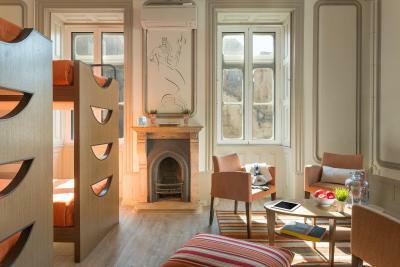 This air-conditioned room has a seating area with modern furniture. 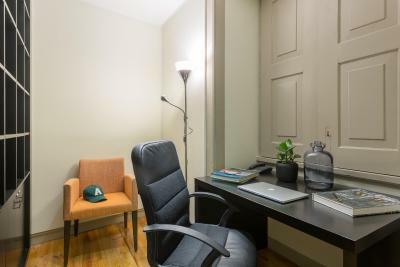 This air-conditioned room includes a desk and seats. 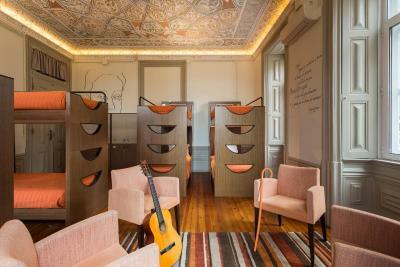 This air-conditioned room includes a desk and seats. 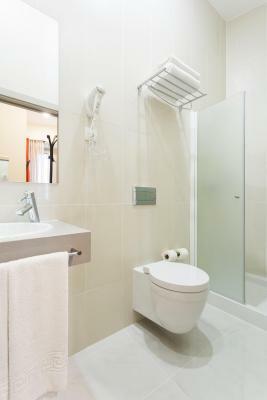 It includes access to the shared bathroom. This family room features air conditioning, patio and kitchen. 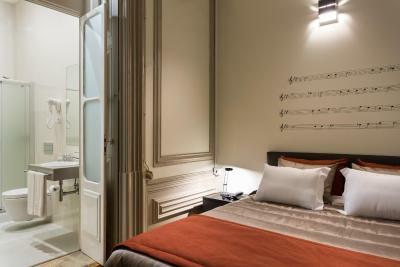 This room has 4 single beds, air conditioning and acess to a shared bathroom. 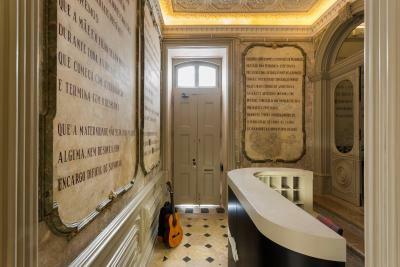 House Rules Serenata Hostel Coimbra takes special requests – add in the next step! Serenata Hostel Coimbra accepts these cards and reserves the right to temporarily hold an amount prior to arrival. 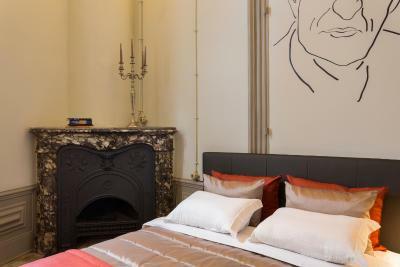 Please note that a security deposit of EUR 5 will be charged at check-in for each room key. This amount will be refunded at check-out if no damages are made to the property. Please inform Serenata Hostel Coimbra of your expected arrival time in advance. You can use the Special Requests box when booking, or contact the property directly using the contact details in your confirmation. Room was big but the room design was quite strange. I felt not very comfortable at room in terms of lighting and ventilation. There was a bar located beside hotel with loud music throughout the night. Although sound isolation of room was quite good, I could still hear music until I put my earplug on. The hostel is quite near to the coimbra University and staff are cheerful. The kitchen closed too early in the night. It was very cozy and pretty. Staff were very nice. Lovely place! Hostel with palace-like feel. 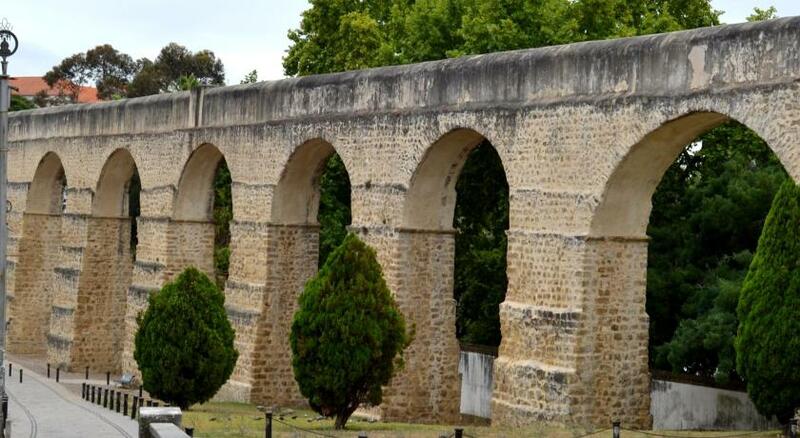 Great starting point for sightseeing and perfect for chilling after long day. Finding how to get there by car was a challenge that our navigation system could not quite meet. Once I had a good map, no problem. Would be great if they could send something with a map in advance. The location was prime. It was a close (but uphill!) walk to museums and the university. 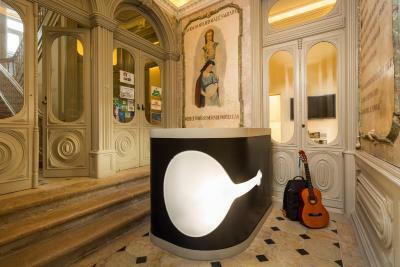 I asked about Fado concerts and the receptionist told me about a cafe where I could go to hear Fado for free. I went to the cafe he mentioned the first night and then paid to hear Fado the second night of my stay. The building is gorgeous. double room: It looks different on photos. The bathroom didn’t feel very private (there were no actual doors). Amazing location, very nice staff, good breakfast. Bathroommirror was dirty when we arrived, weird smell in the rooms, bar was open but they did not even have beer, only port wine. Breakfast was very basic. Not worth 50€ per night. The location is very good. Close to university and next to cathedral. The room was very nice and there were plenty of bathrooms available. The decor was of very good taste. The staff was helpful when we requested. Our stay was very comfortable as a whole. The bed was really comfy, the room was big and well decorated. 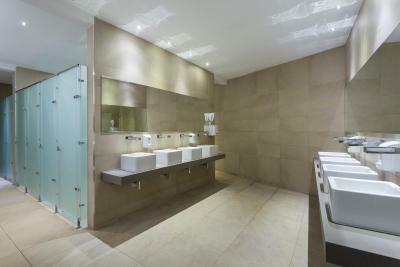 The bathroom was all clean too, with comfortable showers. The breakfast was really nice too for something that was included in the price. I really liked the hostel and would stay there again. The staff was extremely kind and helpfull. I sent an email few hours before my arrival, asking if it was possible to do the check in earlier ans they had the room ready at my arrival! 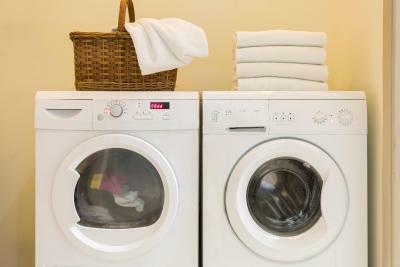 The location is perfect, the room was big and clean, can't suggest more! Roof in room was a bit low. 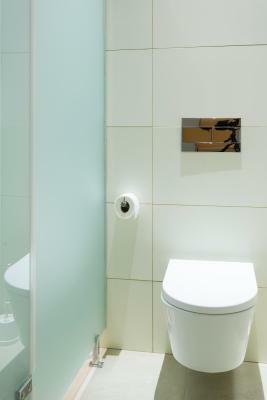 Shower doors made of frosted glass so a bit see-through. Very yummy breakfast, good variety of foods. TV in the room.